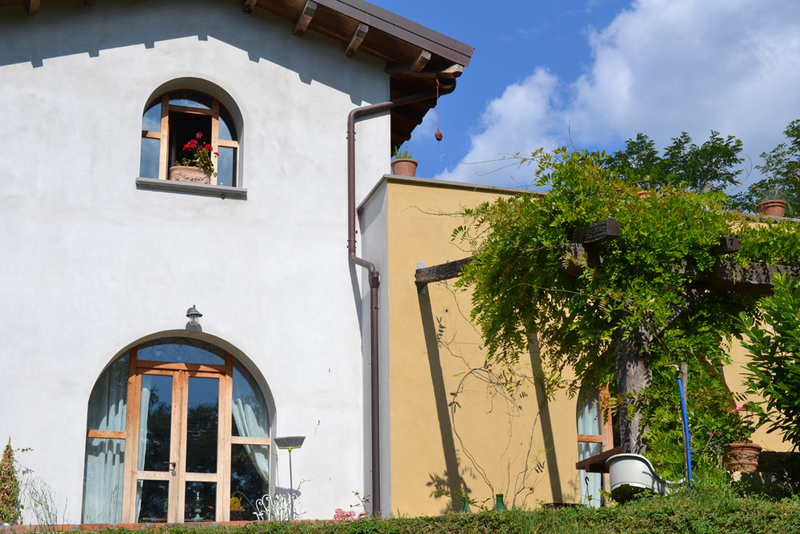 Settimo Cielo Retreat is a place to come for Bed & Breakfast, tailor made holidays or just to relax with our local Italian neighbours over a glass of Prosecco and home made salami. It's a place that attracts artists, writers, photographers, musicians, film makers and lovers of all things Italian - a safe welcoming haven that embraces people from around the world, under one roof, to eat at one table. Where individuals can be themselves and truly flourish. ENJOY…seasonal, freshly prepared fare from our kitchen and herb gardens combined with good, locally sourced produce. Not forgetting our own free range eggs of course! Our en suite bedrooms are prepared with beautiful antique sheets, embroidered lace pillowcases and sumptuous white towels. Fresh wild flowers are cut before guests arrive and natural olive oil soap placed in the bathrooms. Guests are welcomed with an aperitivo - a glass of Prosecco and home made canapés. Settimo Cielo is a very special place, it's not like any other hotel or B&B, it's more like a home from home where you are made to feel so welcome. Karen and Jim are great hosts, so warm, friendly and relaxed. If you feel you need time out to simply 'be' or if you are an artist, writer or dreamer, this special space has a certain inspired, quirky energy which gives you the right environment to do whatever you like doing...be it draw, make something or just snooze in the sunlight! The rooms are eclectic and rustic, giving an authentic Tuscan feel. There are lovely views out to the distant mountains and surrounding land where the chickens cluck away and there's always a dog or two around. The food here is gorgeous and from the moment we arrived we were treated to Italian delights, including a glass of processco on arrival. Karen puts extra effort into making sure your visit is comfortable, relaxed and special. 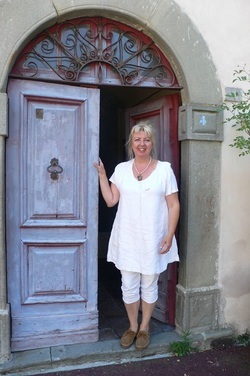 If you like to connect with the locals and experience the true Tuscany in relaxed, quirky and informal surroundings then Settimo Cielo is for you. All images and content (c) copyright Karen Hargadon-Feeney. All rights reserved.